It’s frequently the case that unreleased software leaks to the Internet quite a long time before it has been commissioned for prime time, but when said software happens to entail Microsoft’s much-anticipated Windows 8.1 Update 1, it tends to make the headlines. 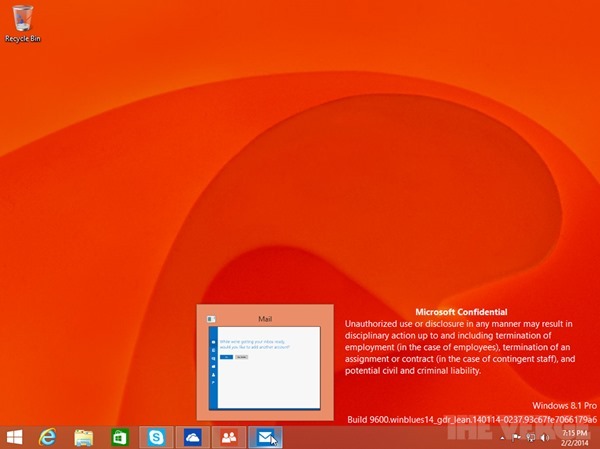 Scheduled for release next month, Update 1 has found its way onto various file sharing sites already, and although the fact that it’s a build from three weeks ago means that Microsoft will have definitely made some alterations before the final release, it offers enough of an insight as to what’s in the offing. Details after the fold! 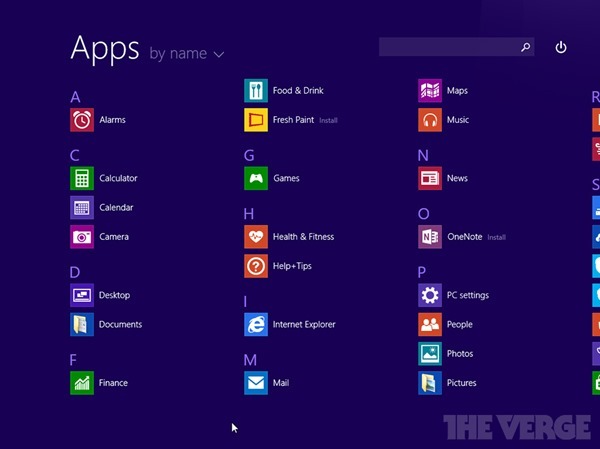 There’s been a lot of talk about Microsoft taking one or two subtle steps back in terms of certain elements and functions that were so ruthlessly culled with Windows 8 back in 2012. The release was somewhat flawed in that the overall design of the interface was tailored with touch-based devices in mind, but with well over 90% of the user base using desktops and notebooks, the design was not very well-received by the public in general. 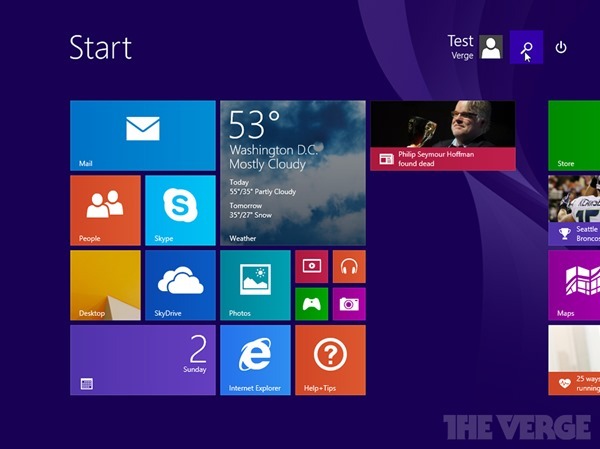 Windows 8.1 offered a few tweaks, and now, it appears that Update 1 will be wading in with a few of its own. As well as a new-look (and very intuitive) title bar for Metro / Modern apps, the Start Screen has also been modified, with keyboard and mouse users now being able to customize their Live Tiles with a simple right-click. As we heard last week, the search and shut down buttons are once again a feature of the Start Screen, something users had grown accustomed to in Windows 7 and prior releases. Reintroducing some of these features mightn’t be what Microsoft had in mind when it threw out Windows 8 originally, but it’s good to see the software maker listening to feedback as opposed to taking the blind faith approach. 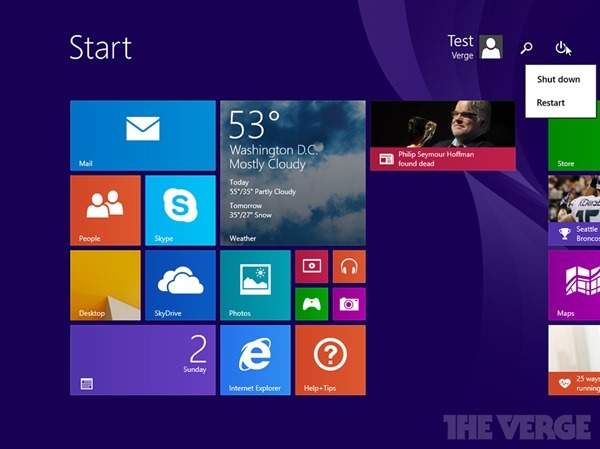 Users have also cried out for the time and date to be an omni-present featurette of the Start Screen, but while it may not have been put in place for this build – dated January 14th, 2014 – Microsoft may still be planning to add it before the March release of Update 1. As you can see from the screenshots, things are really starting to take shape, and although there are likely still a few features to be included before the end-user release next month, this leak is fairly indicative of what we’ll find therein.